Have you been following the Scrap projects at Pleasant Home ?? This morning she posted these beautiful bags made by Shelby Mine . What is so neat about these bags is that Sheri's scraps were mostly 1.5" strips left over from the Charm Squares she used in her purses. There are so many great ideas for using up scraps out in blog land right now. Lots of books are being published. Some of which are previewed at Quilty Pleasures. I don't know about you, but I do much better with visual helps. I finished binding this Winter Landscape, adding the borders so that the light and the dark ran off the sides. It's a little difficult to photograph the quilting on the white fabric, but here is a little closer look. Every year we travel to Snowshoe West Virginia for a family vacation. My children love to snowboard. We usually arrive late in the day, so everyone heads to the slopes and does some night snowboarding. I created this wall hanging as a memory quilt for our fun family times together. I've entered this Winter Landscape in a contest over at Quilting Gallery and I would love your vote! Thanks in advance to all those who vote. Hope you have a fabulous weekend!! All that being said, yesterday had me pondering. Do you ever ponder?? You see last year we shared a word that was to be our flagship for the year. Mine was JOURNEY. What is really kind of funny is that my Journey last year was partly involved with helping my daughter with her journey. She traveled to SE Asia last summer and just a couple of weeks ago she was off again, this time to Australia. I was not going to think of a word this year, but a word just kept coming to me. And yesterday it formulated. Do you want to know what it is?? And I'm going to tell you how I will use my word. 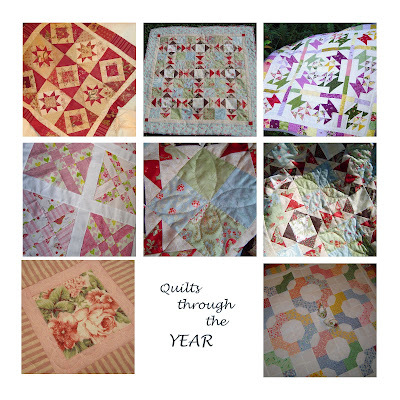 We have a Quilting/Blogging friend who is going through a series of treatments for cancer. Her name is Kaaren and she has a beautiful blog The Painted Quilt. Kaaren is one of the most creative and giving gals in blog land. She designs a Block of the month for her quilty friends (us)!!. So while she is going through treatments, Shelley at Red Quilts would like for us to shower Kaaren with words and cushy packages of encouragement. Won't you help?? You can contact Shelley at Red Quilts or Mary at Quilt Hollow and they will give you Kaaren's mailing address. We can all share in some way. It doesn't have to be a quilt or some large project. After Kaaren returns home, find someone to share a little love with. There are so many lonely and hurting people everywhere. How do you DO it!!! I can hardly keep up with my sewing/quilting projects. PLUS regularly cooking and cleaning for my family!! It blows my mind with all the amazing quilters that get SO much accomplished!! If someone can please share with me their secret for adding more hours in the day, I would greatly appreciate knowing about it. Lot's of stuff........... and a winner! Stray Stitches is having a wonderful giveaway. She is celebrating 700 followers by giving away 2 Charm Packs of Good Fortune by Kate Spain. Go HERE to sign up. Ruby Slipperz is hosting her Mystery Monday giveaway. 5 Fat Quarters of YOUR color choice. Check it out HERE. Tonya's Sewing Room did a review of Lapel Glue Sticks and is giving two glue sticks away! Sign up HERE. Michagoose's gander is having a book giveaway. Take a look HERE. The Jolly Jabber is also hosting a book giveaway. A copy of Sew What You Love. Go HERE to sign up. Amanda Murphy Design is offering some Modern fabric and patterns. And you can always check SewCalGal's Giveaway and Contest page for any updates. Fun Tutorials can be found on Cheryl's blog Polka Dots and Rick Rack. And if you would like to read about 9 Free Photo Editing sites, check out Susan's post. Congratulations to Carline from Lady of the Cloth. I've sent you an email Carline, so please get back with me about the details. 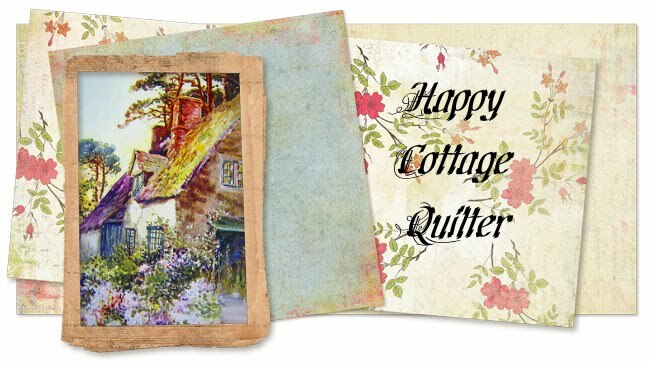 Have a great quilting day!! For years I have used Hobbs Heirloom Premium Batting for my quilts. We all have our favorites, and I've come to like this brand the best. The big "JA" fabric store used to carry it, but I no longer find it there. So I did a little shopping and found it at Michael's. Now what we need to keep under wraps is that this same size batting at the big "JA" store can be a little pricey. I looked online and they are carrying Warm and White for $26.99 (sale price $16.19), and Warm and Natural for $34.99 (on sale for $20.99). The price at Michaels for the Hobbs Heirloom QUEEN size cotton batting is regularly $16.99 Whenever "JA" issues a 50% off coupon, I trot on down to Michaels and buy the QUEEN size batting for $8.50. I was recently asked to review the My Memories Software. I have done a little bit of scrapbooking over the years, but this was my first adventure into Digital scrapbooking. As I am not all that great on the computer, I found this software was very easy to use as well as being very impressed with the amount of artwork that was available. There are a lot of digital decorations and papers included in the software, and a large selection of free digital papers to access from the My Memories website. You can make scrapbook layouts, photo books, cards, videos, you name it! Plus you have the ability to add a slideshow and music. I started playing with the designs and I came up with my own Year in Review page. The people at My Memories have offered to give one of my readers a free downloadable copy of My Memories Software. And as a special for all my readers, My Memories is giving us a promo code for a $10 discount off the purchase of the My Memories Suite Scrapbook software and a $10 coupon for the MyMemories.com store- a $20 value! To enter this giveaway, visit www.MyMemories.com and choose your favorite digital paper pack or layout, then come back and the tell me which one you chose. Please be sure you include a way to be contacted. This giveaway will close on Sunday January 22 when I will use the Random Number Generator. Winner will be notified by email and announced on Monday January 23. I would like to take this opportunity to thank My Memories for sponsoring this giveaway. Rainbow's End is an endless maze of fabric. Enough to quench any quilters appetite. My sweet hubby gave me a GIFT CERTIFICATE for my quilting adventure :-) So of course I had to head over and see what fun things there were to explore! Two walls and a center section full of sale fabric!! And this quilt really caught my eye! And YES I did find some goodies to bring home. The pattern for the above quilt, lots of Amy Butler fabrics, a piece of Ruby to go with the charm packs I have waiting in the wings, and some red and green for a Christmas quilt I've been saving fabric for. Thank you sweet hubby, for making my Christmas so special. And wow!! I was so impressed with all of you who entered the giveaway for the Famore 8" Fabric Shears. I would love for each one of you to try these wonderful scissors, but alas, there can only be one winner for today. So step right up Barb from Mountain Quiltworks! The RNG picked your number this morning :-) Send me your mailing address and I will put these fabulous scissors in the mail. Be sure to stop by Barb's blog and say Hey!! She is a new blogger, and her quilts are beautiful! And if any of you sweet peeps are interested in the Famore products, be sure to stop by Kelly's shop and take a look. What a great value for the price. I came across a zippy bag with some Bow Tie blocks I had made. I just sewed them all together. I've been wanting to make a red and white quilt, so the Doll Quilt is the beginning. How important is it to have good tools? If you were a car mechanic, you would need the right tools to be able to fix a car. Or if you are a dentist, you need quality tools to work on your patients. Just as any professional needs tools for their trade, I find that I need quality tools as a source of enjoyment and precision in my hobby. I've had an opportunity to try one of Famore Cutlery's products. And to say that I was pleased is an understatement. Let me tell you why. There are times when I need to cut fabrics for certain projects. For example, on this wall hanging, there are several layers of curvy fabrics. I cut layer after layer just as smooth as glass. I also have been creating some landscape quilts. Using these scissors makes it a breeze to put together. But I was most impressed when I was cutting flannel for a pair of pajamas. I'm sure you know how frustrating it is to feel like your scissors can hardly cut. Using these Fabric shears there was no drag or pulling while cutting through two layers of flannel. The blades are so nice and sharp, I did not feel any resistance. The makers of Famore Cutlery were kind enough to allow me to try their Fabric Shears. And they sent along another pair to give away to one of my readers. Just leave a comment on this post by Sunday, January 15th. The Random Number Generator will choose a winner and the winner will be announced on Monday, January 16th (be sure that I have a way to contact you). The Famore Blog Hop is going on all week and here's the list of the wonderful places you can visit to learn more about these wonderful sewing and quilting tools. What's cuter than a Snowman? THREE!! With a body the shape of a Hershey Bar!! Remember last week when I made this mini quilt? I was debating what color to use for the binding. Well I went with the red, and followed my quilt buddies suggestion and hung it in our breakfast area. This past year has been kind of busy, with new work schedules, ailing parents, out of town trips, etc...... so the sewing buddies have not been able to get together on any regular basis for quite a long time. But it is always good to get together and reconnect, especially around the holidays. I made these little needle books, as a "just because" gifty for them. And I've been playing with jewelry beads too. Do you decorate for all of the seasons?? After Christmas, a package arrived in the mail that came all the way from Texas! During the Blog Hop Giveaway Party, I won a fabulous pattern and fabric from Pondering Quilting. Patti wrote to me and said she added something extra because it was so late getting in the mail. One thing I cannot find in our area is wool, so I was delighted to receive this beautiful wool as part of my prize. Please stop by and say HI! to Patti at Pondering Quilting. Patti does beautiful machine quilting.